When it comes to training for better health, and well-being, many gym-goers have a person in mind that they aspire to look like. Packing on some serious muscle to fulfill your body goals, however, can be quite a challenge, even with an inspiration in mind. Luckily, putting on muscle doesn’t have to be the headache you may think. Here’s our guide to building muscle naturally and leave the “s” word where it should be – on the shelf and away from the gym! Let’s begin where any underpinning principles of building muscle naturally should: nutrition. Nutrition. When looking to build muscle mass, your body needs excellent nutrition that includes the right amount of calories. You wouldn’t expect a plant to grow without feeding it! However, this does not mean carefree eating and consumption of calories but instead eating more healthy fats and proteins. Over 3,000 calories can be a starting point if paired with the right workout routine that can adequately burn and regenerate these calories. Include more carbohydrates than fats as well as high protein intake. This is harder than it sounds and the idea is to teach yourself how much it takes to grow – the natural way. You can fine tune your intake at a later point and adjust your diet to avoid gaining fat. Eating is a skill and believe it or not, your body needs to get used to a hypercaloric diet. Keep in mind that calorie intake won’t be the same for everyone. Some people will struggle to eat as much as expected while others will eat what is needed but won’t be able to burn it properly, potentially causing fat weight gain. However, if you are not a big eater or if you struggle to access this amount of calories during your busy day, then read on for your next top tip. If your hefty diet is on point and the calories are there to be consumed, then supplements will boost this progress to no end. Furthermore, if you’re not maxing these calories and you haven’t got the time or access to this amount of intake, then here’s another place where supplements can be your friend. Adding supplements to your diet can really transform your progression towards naturally building muscle. Whey protein is a classic supplement to help meet your required protein intake but also to help support, rebuild, and recover muscle mass when training and exercising. Creatine monohydrate is also a must as well as multivitamins. In addition, caffeine or coffee can give you a great pre-workout boost before hitting the gym. Lastly, natural testosterone booster supplements can push your body forward and help with adding those stubborn extra pounds of muscle mass. There’s no possible way to gain weight without the right workout regime. Exercise and workout routines need to be specifically in tune to your goals, and if your goal is to build muscle mass naturally, then you need access to volume training. This requires lifting heavy objects, however, we don’t necessarily mean strength training but instead lifting heaving things over and over again. This repeated volume training means lesser weight but higher reps.
Another exercise tip is to focus on using compound movements and exercise during your workouts. These are your squats, deadlifts, bench press, and overhead presses. Find out what your one rep max lift is and use weight that is around 70% of this with high reps. 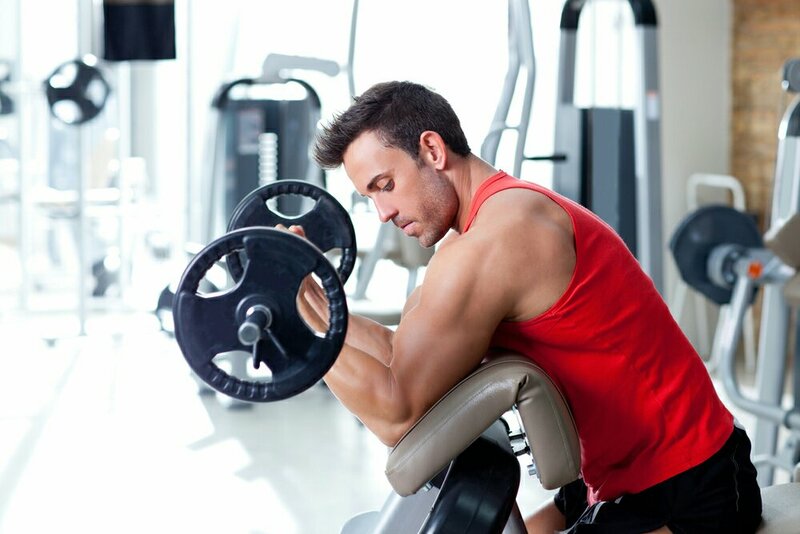 Aim for six rep sets of one exercise and hit around 8 to 12 reps for each set. If you can do more, then increase the weight. If you’re only pushing out 3 or 5 reps, then lower the weight. This way you are aiming for hypertrophy training where gaining muscle mass is actually the primary goal. Let’s go back to nutrition, the staple to the muscle-building process. If you’re not feeding your body, it will be very hard to recover after a hard workout and ever more difficult to get up the next morning ready to workout again. Lots of rest and recovery will help you grow and build muscle. Training with plenty of volume and weight three times a week is a requirement. The rest of your time should be spent eating well, sleeping, and relaxing as much as possible. As we all know, taking steroids helps bodybuilders pack on muscles in super quick time. Give the terrible mental and physical consequences of using steroids, it’s unquestionably better for your overall health to stick to a plan where you can gain muscle naturally. 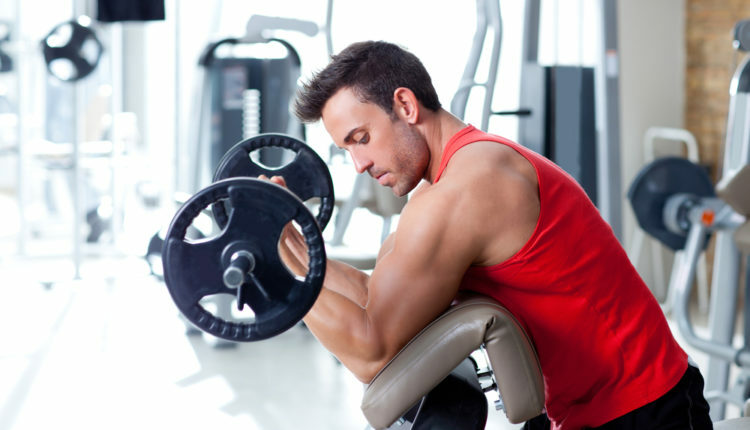 Plenty of natural bodybuilders who train just as often and as hard are reaping the rewards of the above process, so stick with these tips and you’ll be on your way to the body you’ve always wanted in no time.